Come on Clipper Race boat Da Nang Vietnam! I am super excited to have a friend aboard Clipper Race boat Da Nang Vietnam for the next leg of the round the world race. 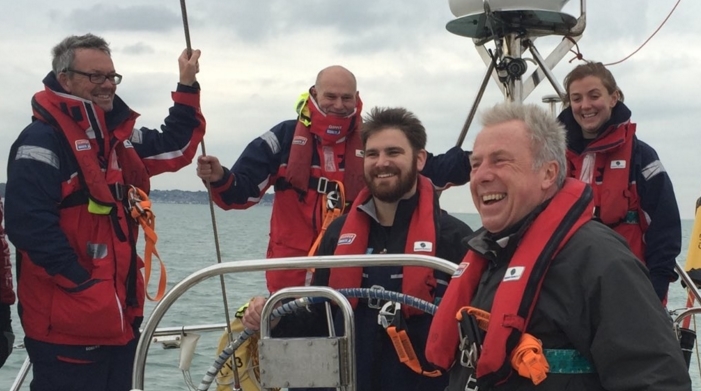 My friend, Chris (who I did my level one training with) has just joined the 15/16 RTW Clipper Race to race in leg 5. Leg 5 will start on Monday 18th January from Airlie Beach, Australia. Skippered by Aussie superhero, Wendy Tuck, Da Nang is so far coming a respectable 7th, with 30 points in the overall race standings, but recently came 1st out of the Clipper fleet in the infamous Rolex Sydney-Hobart Yacht Race. This year is going to be a year of learning for me. I want to complete my RYA Coastal Skipper and Offshore Skipper, and make a start on my Yacht Master. I need to refresh my 1st Aid cert which has recently expired, and I need to get my VHF license. I also want to complete some more of my Clipper Race training.